Arleen Paré, author of Paper Trail, Leaving Now and the Governor General’s Award-winning book Lake of Two Mountains (Brick Books, 2014), has a new collection out this year, landing right on the heels of her last book. He Leaves His Face in the Funeral Car (Caitlin Press, 2015) struck me as personal, hopeful, and exciting in its use of language. 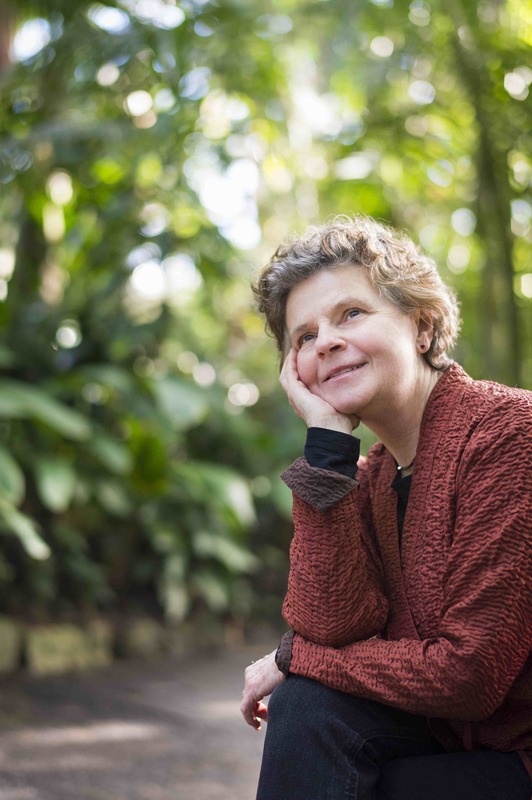 I had the luck to talk with Arleen about her upcoming projects, why lakes are interesting to her, how she chose the title of her new book, and also what was the hardest poem to write of her career. A captivating person makes for a captivating interview, don’t you think? 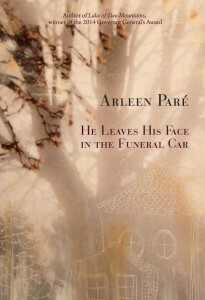 Your fourth book, He Leaves His Face in the Funeral Car was just released. First of all, very captivating title for a poetry collection. One of my favourite poems is I Steel Myself, which we published on Plenitude. I’m curious, which poems came to you first? These poems are such a mix from my last, maybe ten, years of writing. Some poems may even be slightly older, but with a newish edit, a newish slant. Most are from the last five years, but I could not easily say which came first without a research assistant. Although the poems about my parents must be the oldest. How did you decide to call the collection what you did? Were there other titles you were considering? In the beginning there were three possible titles: He Leaves His Face in the Funeral Car, Dream of a Bullet and Moonrind. All these options come from the titles of poems in the collection. I surveyed my friends and family; I made graphs. But of course, my friends and family all had different preferences. 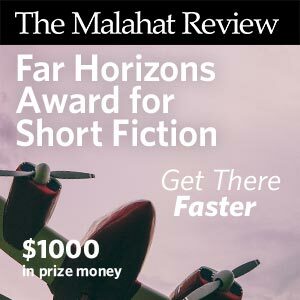 Finally, down to the wire, I asked Kayla Czaga and Garth Martens at one of the readings at Russell Books–and they both preferred He Leaves His face in the Funeral Car –hands down. And so it was decided at last. And best of all, that was my favourite too. It’s fair to say that He Leaves His Face in the Funeral Car deals a lot with death of all sorts, but there is a lot of use color used—oranges, blues, golds, and a lot of growth, seeds falling, and interactions with nature. What do you think readers will come away with after finishing the book? I hope they come away with a sense of how fragile we all are, but how we can be comforted too. You know, just the typical old hopes for poetry: vulnerability, sadness, solace and beauty. Plus, maybe a greater interest in and curiosity about language. What was the most difficult poem to write for the new book? What was the hardest poem you ever had to write? I had the hardest time with “He Died Unsurrounded,” the poem about my father dying without anyone with him–in a hospital bed three thousand miles away. I hadn’t made the phone call earlier as I had intended. When I think of that, of him so bereft, as I imagine it, I fell very sad. I have always regretted my absence for that period of time in his life. Writing the poem brought back my guilt, my sorrow. The hardest poem I have ever written was in Leaving Now–“Morning Presses Down.” Again, that poem highlighted my guilt, familial guilt, once again. These things are hard to bear–and very hard to write about. How much say do you have as a writer in terms of how the book looks? Do you have say in the cover, the overall aesthetic? Maybe I’ve been lucky with my three publishers, but I have been given a considerable amount of input for all three book covers, though maybe a little less with my first, Paper Trail. At the same time, because it was my first book, I knew less about how much input I could expect. Typically, I’ve been asked at the very beginning of cover design discussions if I have an image in mind. If I do, this is respected. There is a lot of consultation over a period of time–this image or that image, this cover or that cover. But eventually, after discussions, it is the publisher who must make the final decision. What do you do when you are completely blocked, can’t write, and have no ideas? 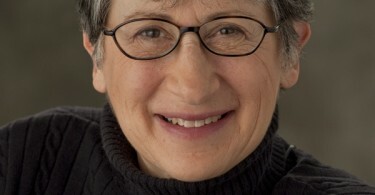 Arleen Paré. Photo Greg Ehlers. I have never been completely blocked, but I don’t write every day or have any writing routine. I write when ideas come, which is quite a bit of the time, sometimes in the middle of the night or when I’m driving the car or walking. I edit a lot, which counts as writing, but which might be a good thing to do if a person feels blocked because in fact, it isn’t really writing. Mostly, I don’t worry about blocks. There’s always sketching. Do you have an idea of what your next project might be? Care to give us a tidbit or two of news? I have a new manuscript, a collection of poetry, called The Girls with Stone Faces, which is looking for a publisher right now. It’s about Florence Wyle and Frances Loring, two very prominent Canadian sculptors who worked on major works in the first half of the twentieth century and who loved all their adult lives together. I am currently working on another poetry collection, called Earle Street, about streets, and about the street where I live. I have another project on the very back burner that raises its head from time to time, but I’m trying to ignore it for the time being. What are your favourite circumstances to write under–I need ambient noise, for instance–a cafe, a park? I like to write at my computer desk in my little pyramid of an office space on the second floor of my house. You know what they say about pyramids: they are special places, power places. This may or may not be true, but I am very fond of my small and cramped pyramid space for writing; it has brought many poems my way. Your last collection won the Governor General’s Award, well deserved. What inspired you to write Lake of Two Mountains. How long did it take to conceive from beginning to end? I needed a project for my MFA UVic Creative Writing project and I thought the lake would be a good persona topic with plenty of memories and interest around it. It wouldn’t run out. And the title, Lake of Two Mountains, was a very good start; such a good title. But the main thing is that I love that lake. I’ve loved it since I was a baby. It’s as much a part of me as my family. It’s very pleasing to write about something you love. It took me the duration of the MFA program–two years to complete. You used to live in Montreal. Do you miss it? Have you been back? I left Montreal when I was thirty, and I knew I would miss it very much. I felt like I was leaving the centre of the universe, history, the Big Apple was just a few miles to the south. My sister lives in Ottawa and I visit at least once or twice a year. When I’m there we often drive to Montreal to visit old places, like a pilgrimage, sometimes we drop in on old friends, cousins, a sister-in-law, neighbours. I love all of your work but I really would like to single out Paper Trail. I really enjoyed the writing in that book. Everything seemed so specific and well-drawn. What inspired that story? I had been working in health care bureaucracy for twenty years. I had a good and useful job and really it wasn’t all bad, but I was going mad with the stress and routine and boredom. Betsy Warland, a wonderful writer and writing instructor, gave her students an assignment prompt in class to write about something in our lives that gave us the most angst, but to write about it using the format of an experimental novel or memoir such as Betsy’s Bloodroot or Gail Scott’s My Paris. Work was the source of my angst, so I wrote about office work, about bureaucracy, and the result was Paper Trail. I wrote myself out of that job. I retired at the same time as I finished the book. And then became a writer! What advice would you give to young poets about writing poetry? Learn the craft. Join a writing group. Attend classes. Attend writing retreats. Read poetry. Read fiction and nonfiction. Read more poetry. Study one poet you admire–their whole opus even. Use this poet as a model–for a while. Write poetry. Write more poetry. Take another class. Attend another workshop. Prepare a chapbook. Keep learning the craft. What are your plans for the fall–can we expect to see you at any readings in Vancouver? Yup–I’ll be at the Cottage Bistro on Main Street on October 22–7 or 7:30. I’ll be reading from He Leaves His Face in the Funeral Car. 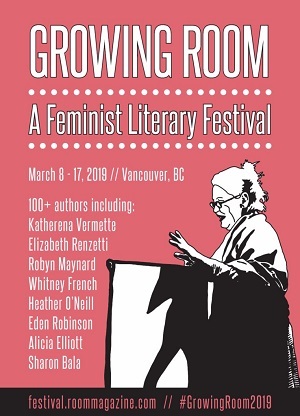 I’ll be reading with three other Caitlin Press poets, Beth Kope, Kate Braid and Sarah de Leeuw. It should be a wonderful night of poetry. Thanks for asking. 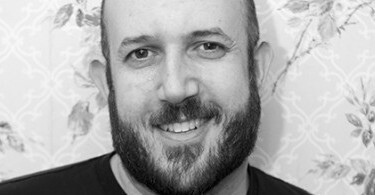 Matthew Walsh is a writer from Nova Scotia. You can catch his stuff in new issues of Qwerty, Johnathan Magazine, The Quotable, and The Steel Chisel.